How to report hoon behaviour. 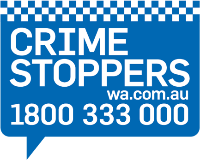 Use a Report a Hoon Form (Traffic Complaint Form) to record the details of the incident. Do not put yourself at risk when trying to gather evidence. Details of current Prohibited Behaviour Orders (PBOs) that have been made by a Western Australian court and publicised under the provisions of the Prohibited Behaviour Orders Act 2010. Complete the online graffiti reporting form if you are a victim or have observed graffiti vandalism in your community.